Find helpful services and resources relevant to all aspects of local historical societies. Connect with professionals who are experienced in conservation, consulting and dealing with collections damaged by natural disaster. A list of reliable preservation and conservation information resources for museums, historical societies, libraries and other cultural collecting institutions is available here. 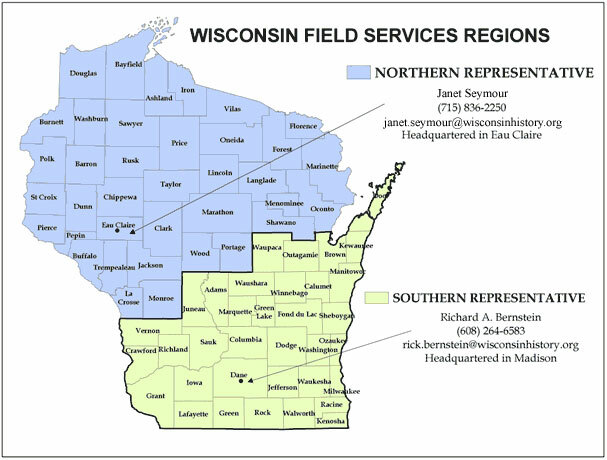 The Wisconsin Historical Society offers a wide variety of services to local historical organizations, including consulting services. Explore the PDF list below to find experienced Society staff who can provide advice on subjects ranging from care of museum objects to preservation of historic buildings. There are many resources available to guide historic societies and museums when dealing with collections damaged by flood or natural disaster. Cultural institutions may get free telephone advice and possibly other services on cleaning up after a flood or natural disaster by contacting your regional conservation center. 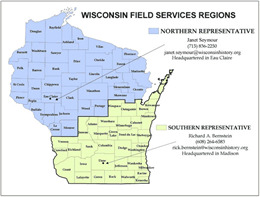 Members of the Regional Alliance for Preservation located in the Midwest can be found here. Another helpful phone resource for museums, historical societies and cultural institutions is the American Institute for Conservation of Historic and Artistic Works (AIC), which maintains a force of "national heritage responders" trained to assess damage and initiate salvage of cultural collections after a disaster. Cultural institutions needing assistance should contact National Heritage Responders at 202-661-8068 for a referral. For more resources for local historical societies and museums on managing floods and natural distasters, click here. For resources available to guide property owners when dealing with historic homes or businesses damaged by flood, click here. At Connecting to Collections, you will find a wealth of resources and assistance for small and mid-sized cultural institutions, provided free of charge by the Foundation of the American Institute for Conservation with funding from the Institute of Museum and Library Services.